Upon all donations, whether via credit card, PayPal or check, EYFA will send you a receipt of the donation for any tax purposes. The Eastlake Youth Football Association (EYFA) continues to improve the safety of playing football. We teach Rugby style of shoulder tackling which moves the head out of any collisions. We have reduced the amount of contact during practices while still remaining a strong, physical and sure tackling football program. We have certified medical trainers on the sidelines of our football games. Now EYFA looks to take the next step in acquiring the safest football helmets available. The Vicis Youth Zero1 Helmet. EFYA is fund raising to make this goal happen. EYFA is accepting donations to acquire these helmets. Vicis youth helmets are not just smaller versions of adult helmets, but designed specifically for youth heads and youth football games. Vicis helmets have “crumple zones” that absorb and distribute the impact so less force reaches the head. Vicis helmets are rated the safest by the NFL and Virginia Tech Testing center. They do not 100% stop concussions but they measurably lessen the impact force, which is the cause of concussions. 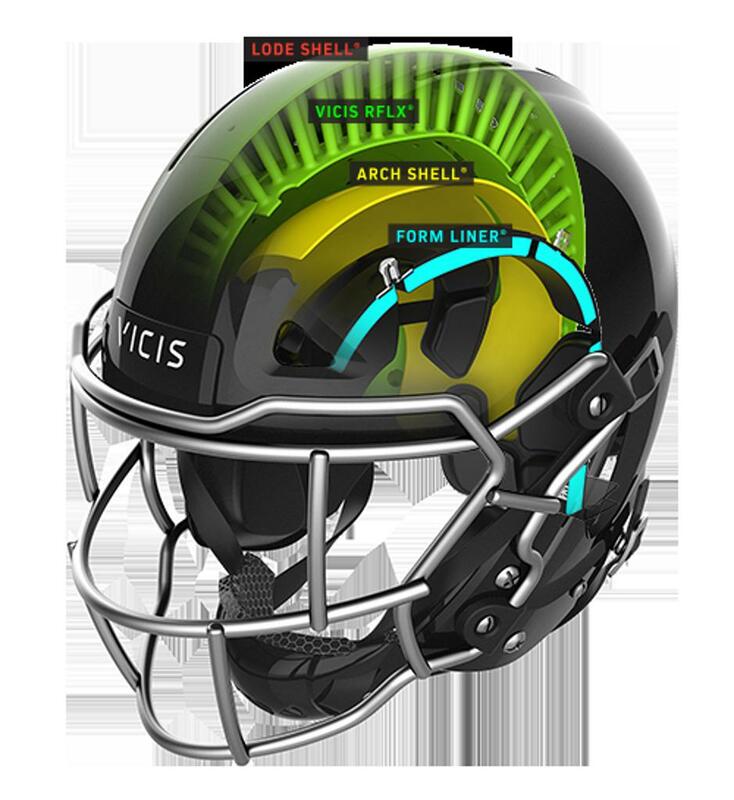 Vicis helmets use different thickness of pads instead of air to make helmets fit properly. Air does not create a crumple zone but instead reflects force back through head.